Bitcoin is a technological method of holding and transferring wealth through a decentralized computing network. Bitcoin and similar digital currencies work on the premise of a “blockchain.” The blockchain is the technical term for a digital, public ledger where every Bitcoin transaction that has been and will ever be conducted is recorded. Thus, Bitcoin provides a new, technology-based means of holding and transferring wealth that operates outside the control of a central bank, national bank or another regulatory body. Why Do U.S. Expats Choose to Use Bitcoin over Foreign Banks? Many American expatriates have decided to use Bitcoin for an array of reasons. To start, some American expats faced difficulties working with foreign banks and financial institutions due to Foreign Account Tax Compliance Act (FATCA) disclosure requirements. At least some foreign banks stopped doing business with Americans or implemented difficult to follow compliance standards. 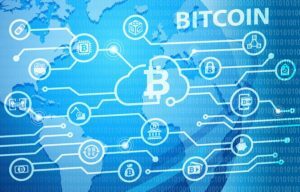 Thus, many American expats were forced out of the traditional banking system and therefore decided to use Bitcoin to handle at least some transactions. Do I need to Pay Capital Gains Taxes on Bitcoin? Yes, taxpayers who buy or acquire Bitcoin or other digital currency, hold the currency, and then transfer or sell the currency do need to pay capital gain taxes. This is due to the fact that the IRS does not consider Bitcoin and digital currency to be “currency” for tax purposes. Rather, for tax purposes, the IRS considers Bitcoin and similar currencies to be property. Like most forms of property, capital gain and capital loss must be recognized and tax must be paid. Generally, gain or loss is realized when the property is disposed of. In most circumstances, capital gains tax comes due that same tax year. Do I Also Need to Account for Income Taxes or Employment Taxes? Whether you received Bitcoins due to bitcoin “mining” or as compensation for goods and services provided, Bitcoin income is still considered taxable income. Therefore, in most circumstances, you will need to pay income taxes on any income received in the form of Bitcoin or other digital currencies. Depending on the circumstances surrounding the work performed, your employer may need to account for employment (payroll taxes). If you are an independent contractor, you may be required to pay self-employment taxes on your income. Should I Worry About the IRS Discovering my Bitcoin Income? Many taxpayers seem to believe that Bitcoin is anonymous or protect one’s identity from the prying eyes of regulators and auditors. Unfortunately, Bitcoin works by making all transactions publicly available and verifiable. Thus, if a single country party decides that they wish to disclose your identity on the network, then interested third parties can re-create your entire transaction history. That means that auditors and investigators from the IRS and other tax agencies can, theoretically, recreate your entire Bitcoin transaction history. If any expats or users of Bitcoin thinks that the odds of a government inquiry into this area are slight, think again. The IRS has already filed John Doe summons to force Coinbase, a popular Bitcoin exchange, and wallet, to divulge the identities are transaction history of account holders. 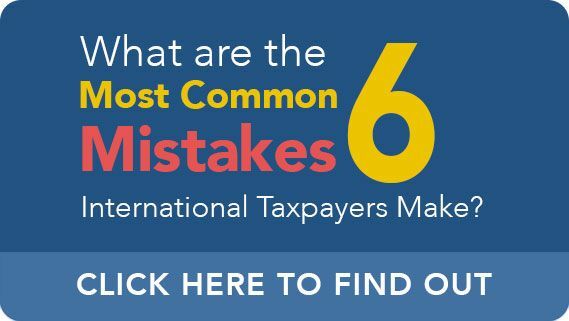 The IRS has already successfully used this tactic to combat offshore tax evasion through the use of foreign trusts, assets, and bank accounts. Therefore, the odds that the IRS will be able to use this tactic to again obtain the identities of non-complaint taxpayers is extremely high. 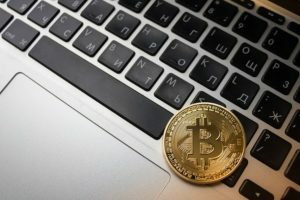 What Should I Do if I Failed to Pay Tax on Bitcoin? If you made mistakes regarding the use of Bitcoin, such as a failure to pay income or capital gains taxes, you may be able to mitigate the consequences you face by making a disclosure. You may need to file amended taxes and address unpaid tax obligations. Ted Kleinman and U.S. Tax Help can help expatriates and all American taxpayers address their international tax obligations. If you have questions about your use of Bitcoin and resulting tax obligations, Ted can help. If you are looking to address FATCA, FBAR, or other tax concerns Ted can also provide experienced guidance. To schedule a no-cost review with an experienced CPA, call Ted and U.S. Tax Help at (541) 923-0903 today.